I’m always searching for a beautiful, well-fitting, versatile dress, and I finally found it. In fact, I MADE it. The infinity dress has got it all! 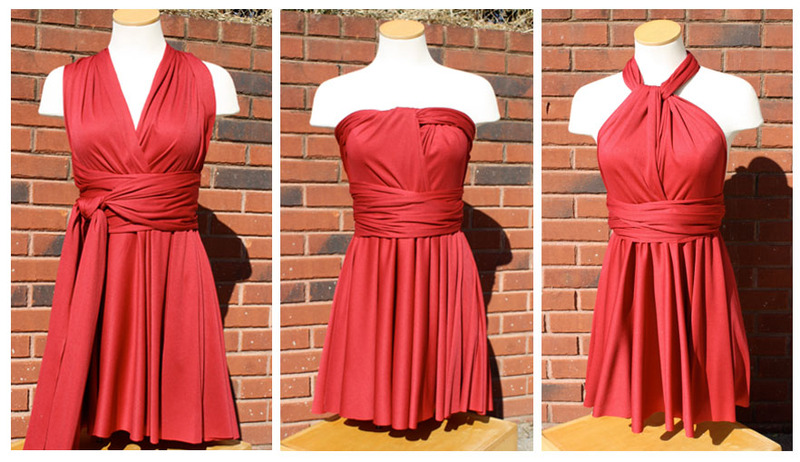 You can wear this amazing dress basically any way you feel comfortable–and it can look like a new dress each time! I made my infinity dress in about 3 hours and for under $20! I used some soft polyester knit I found at Hancock Fabrics for $4.99/yard. I got 5 yards, and with my 40% off 1 cut of fabric coupon, my total came to $15.87 after tax!! These dresses sell for upwards of $200 in stores, so I’m thrilled with my savings! 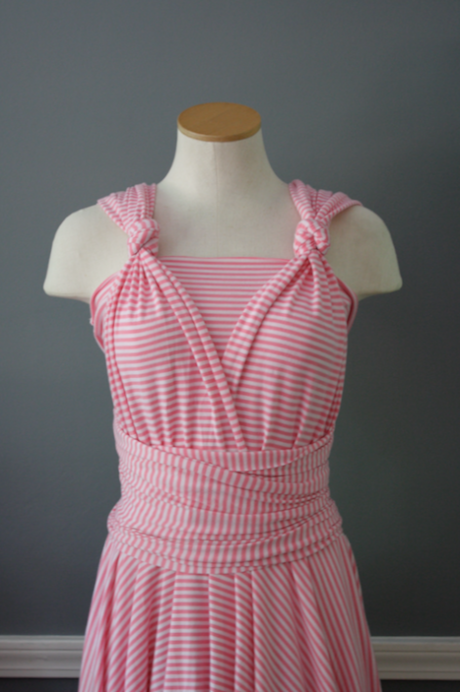 I found these infinity dresses on Craftster years ago and have always loved them. 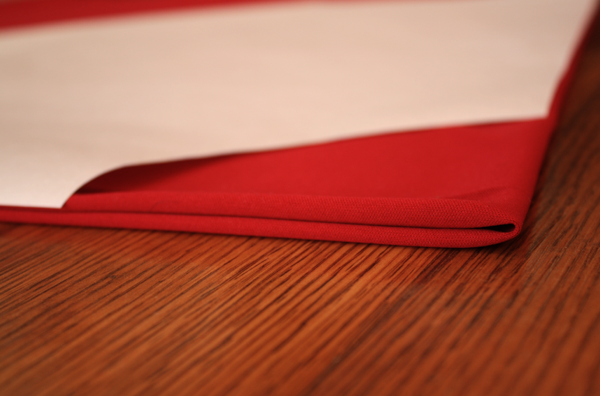 I hadn’t thought about them in a while and was really excited when I decided on making one for my Red Week challenge. I read several blogs about how people made these and I was confused. All the directions were basically the same, but none took me step by step through the process. And no one’s math was the same! So using some from here and some from there, I was able to simplify them. First, you need to do some measuring. 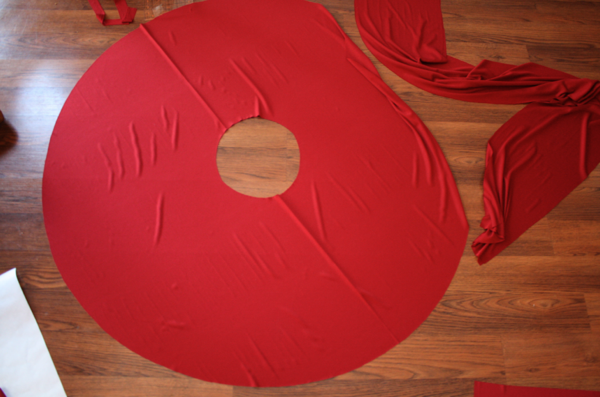 To get the size of my circle skirt, I needed to measure my waist: 30″. I measured right at my belly button because that’s where the waist of this dress sits. 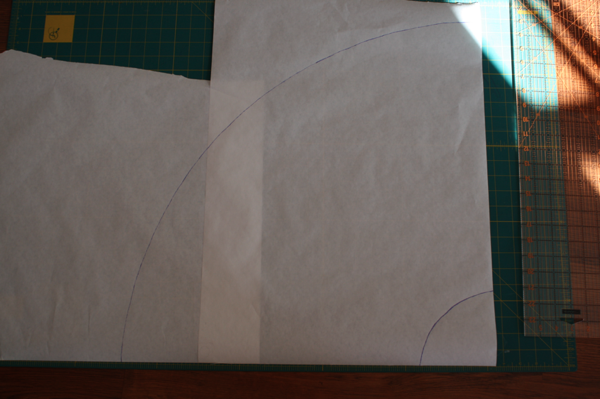 To make that into a pattern, I needed to find the radius of a circle the size of my waist, so I divided by 6.28. You don’t need to know the fancy math, just trust me. So, 30/6.28 = 4.7. I adjusted this to 4.5″ because my knit fabric stretches so it doesn’t have to be exact. 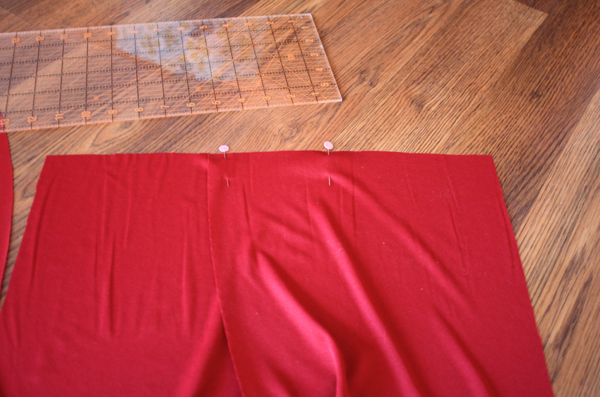 Then I decided on length of skirt and came up with 18″. In hindsight, I wish I’d gone about 4″ longer, but that’s just because I like to wear my skirts right below my knee instead of right above it. So decide length based on your personal preference. To make your straps, you need to decide how wide to make them. To cover your bust, measure from your breastbone, over the fullest part of your breast, and to the middle of your underarm. Mine is 11″ (yes, I have gigantic hooters). To determine strap length, you need to make them 1.5 times your height. It’s daunting, but doable! I’m 5’5″, which is 66″. 1.5 times 66 inches is 99 inches, but I just rounded up to 100. So, got that? 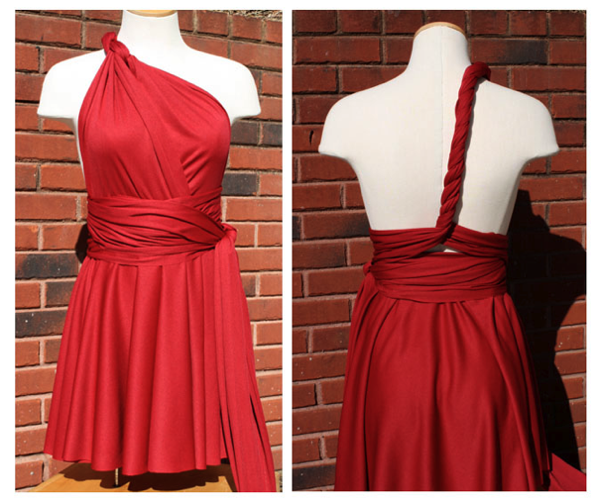 You need 4 measurements: waist divided by 6.28, length of skirt, width of straps, and length of straps. 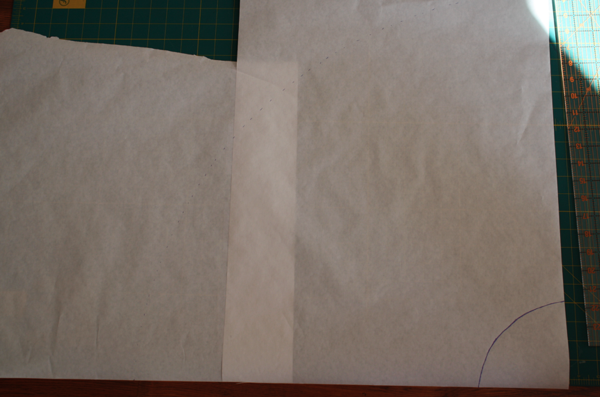 To make your pattern, get packing paper, freezer paper, or a bunch of pieces of computer paper taped together. Start at one corner and measure down the first number you came up with for your waist. Mine is 4.5″ so I made a curved mark 4.5″ from the corner. Do this with the old pencil-on-a-string trick, or make a series of little marks and connect them with a line. 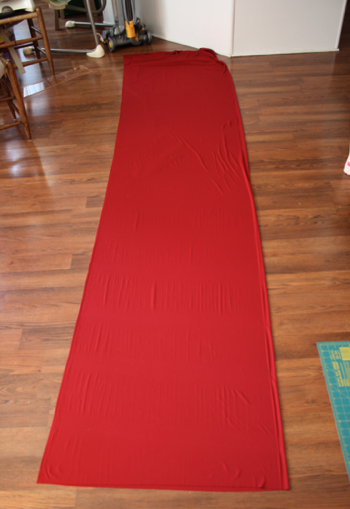 Then I measured 18″ down from that and made another line for my skirt length. Cut out on your lines. You’ll have 1/4 of your circle skirt. 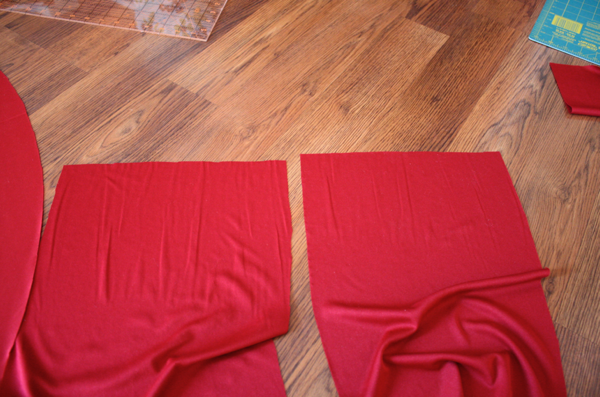 Now, keeping your fabric folded in half with selvages matched, fold the fabric in from the end so it’s doubled on itself. 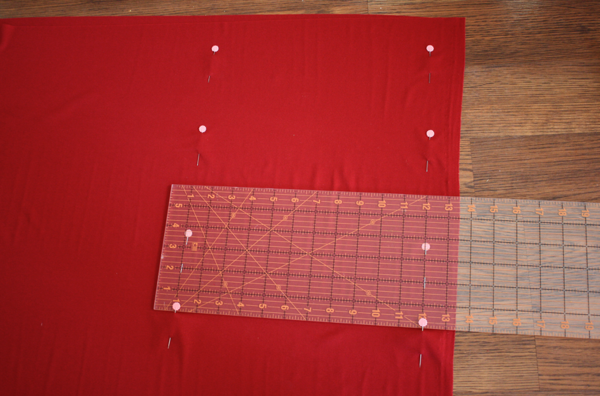 Place your pattern so the 2 straight lines match up with the edges. Next you’ll have to cut your straps. 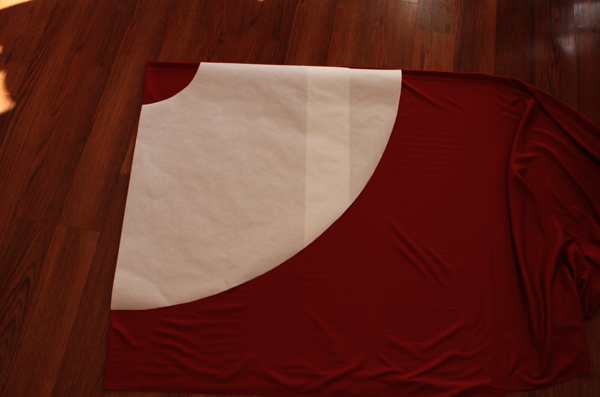 You’ll need to lay your fabric out flat somewhere (and it’s 3 yards for me, so quite a bit of space!) to cut them all at once. I kept my fabric folded in half so I could cut both straps at once. 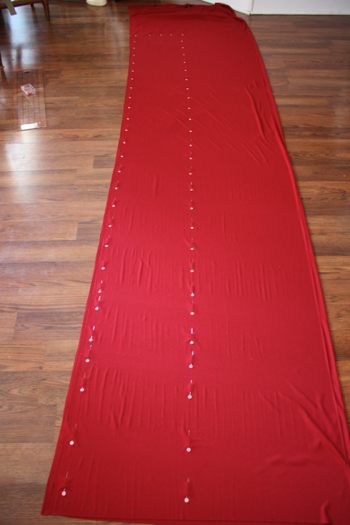 I took my ruler and placed pins 11″ apart, every 2″ the length of the fabric. Well, 100 inches of it, anyway! Then I cut along the pin lines to get my straps. Now for construction. 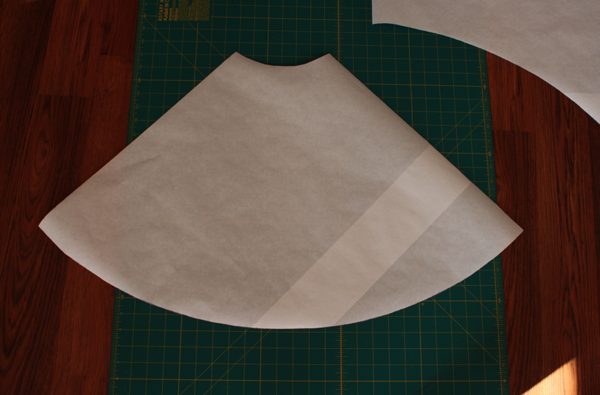 A lot of people call this the 1 seam dress because it’s easy to do at once. I’d recommend doing it in parts, and wish I had. Open up your circle skirt. If there are sides to your fabric, place the right side up. Get your straps. They need to be overlapped a little, 3 to 5 inches is average for what I read. I opted for 5″ because I’m quite modest about my chest. So overlap the straps at one end and pin. Take them to your skirt, and deciding a middle point, place the middle of the overlapped straps down. I then pinned the straps from edge to edge. This is where I recommend stopping and starting the sewing. Just sew the straps on then come back. If you’re daring, keep reading to learn how to do it at once. It was just difficult to keep all the layers in the right place. Take your waistband and fold it in half. 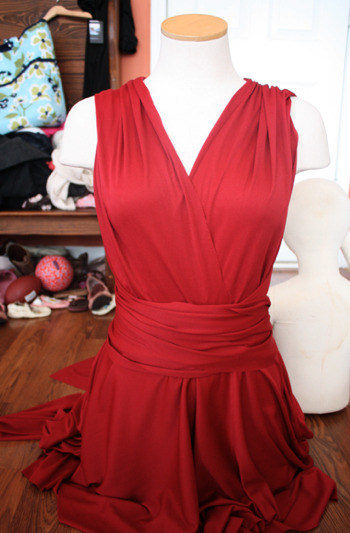 Start in the middle of the front of the dress and sew the waistband on, all the way around to the beginning. There should be just a little overlap. 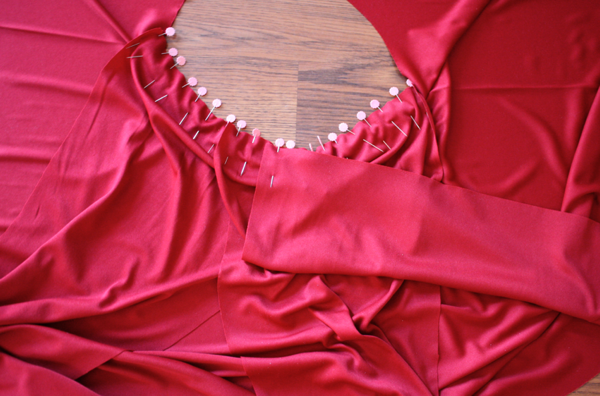 After securing the waistband to the dress, sew around the perimeter again, making sure everything has been included and reinforcing your seams. If you don’t have a serger, do a wide zigzag on your regular machine. I took the waistband in the front and sewed the pieces together. 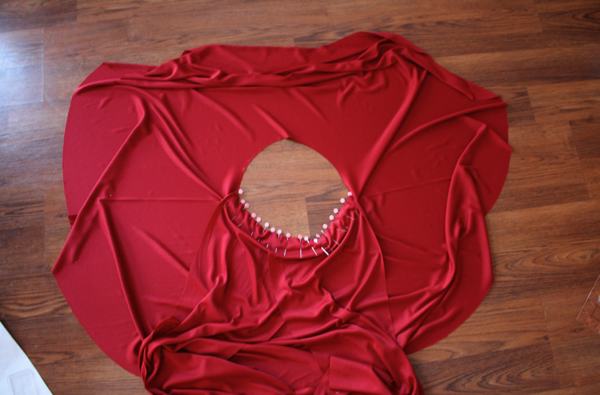 I guess other people leave it V-shaped, but I wanted a more complete feel to my dress. I used black thread to show where I stitched because this part will never be seen. Then when you start wrapping it, you put it up over your bust one strap at a time. To learn to tie it, I spent a lot of time on YouTube watching videos. There are a ton of them out there and they’re all super helpful. 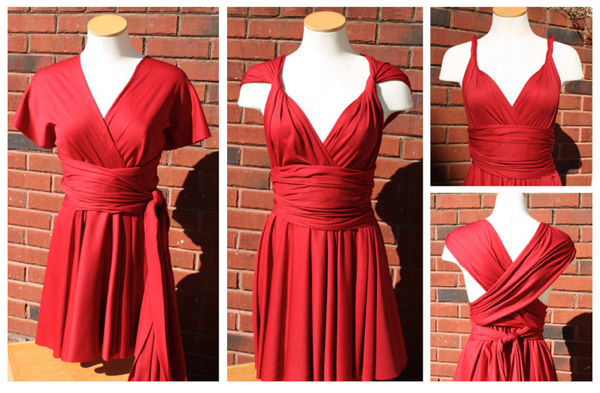 I’ve added an updated version of my infinity dress with a bandeau top for more coverage. 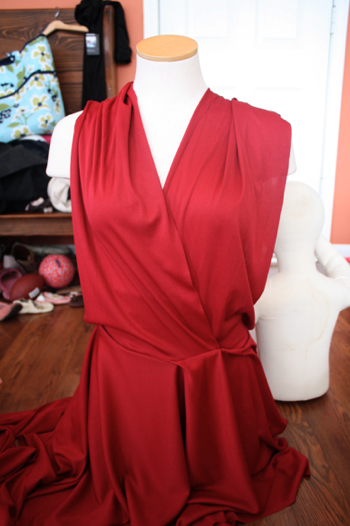 Please check it out for an alternate way to make the convertible dress work for you! Hi Tahlia, unfortunately, I don’t take orders. But I hope you’re able to find someone to make it for you! Hi there Tahlia here. Question. 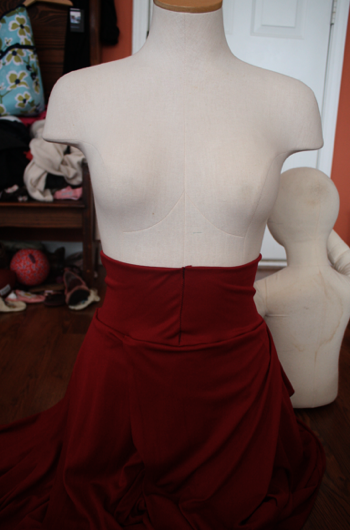 How do u make the skirt less wavy or pleated. I wanted a more straight look. How can I achieve this? Thank you. It’s a circle skirt. 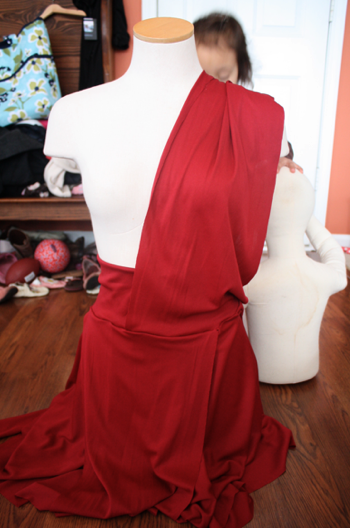 If you want less fullness to it, you’ll have to do it as a front and back and have 2 side seams. 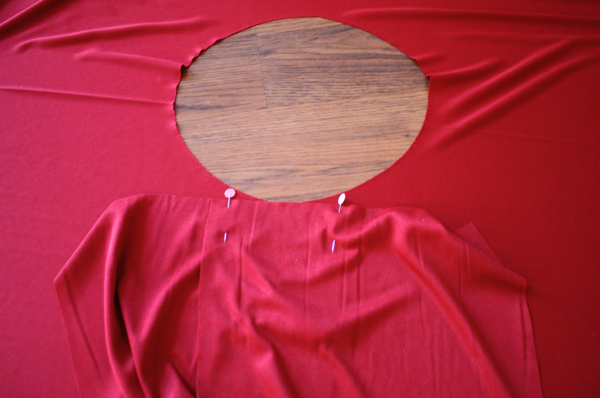 Does the fabric fray at all with unfinished edges? Or does it stay pretty well? Nope, knits don’t fray, so it doesn’t budge! Did this fabric roll at the edges? Hi! I am following your tutorial and so far am loving it! 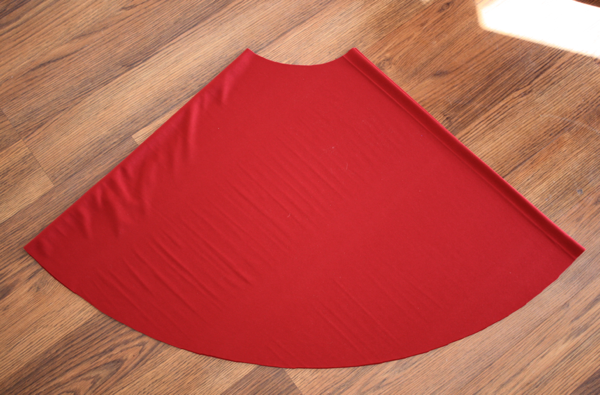 I cut out my circle skirt and it’s pretty big on my waist… will that tighten when I sew? Or do I need to re cut it? 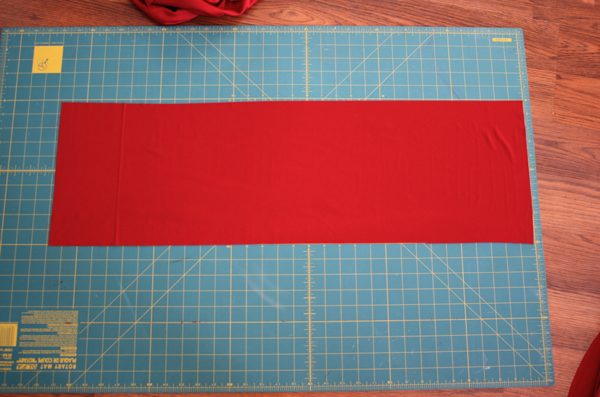 If it’s a little large, you can gather it or stretch your waistband while sewing it on. Just make sure the waistband is the right size for you! Hi thanks for that I’m definitely going to give it a try! Hi, I wanted to make a shirt out of this but was curious; should I put a small amount of skirt on it or should I make the waist band bigger (I.e. Taller)? Hello !! You did an amazing job but I have a question, what fabric did u use ? Lovely tutorial, thank you! Would this work with silk as well or am I required a stretchy material? 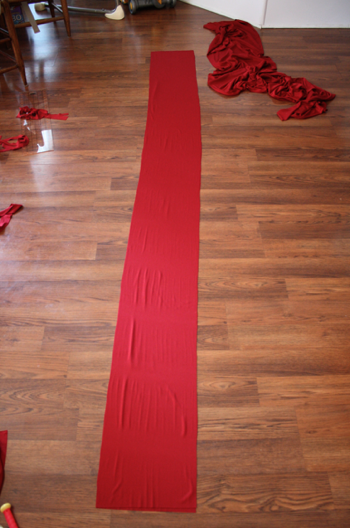 How do I make long 100cm from waist to anckle,,,,wider material,,,?? Did you get a lot of extra fabric ?